The Walking Dead finished its latest season remaning the top #1-rated program on basic cable, but — in the kind of problem you find only in big business — it wasn’t ENOUGH of a #1 finish. Since AMC overestimated the revenue their shows would be bringing in, it’s now being forced to cut jobs. Deadline reports that AMC is now offering buyouts for 200 positions at its company. No specific departments are mentioned, but the buyouts (where the company pays you to leave, in basic terms) are strictly voluntary. Other networks are currently firing employees outright, which means AMC is doing better than most, but the numbers are making investors nervous and there could be bigger problems ahead. In addition to TWD’s ratings starting to sag, there were drops in the ratings for the second seasons of Better Call Saul and Fear the Walking Dead. The two new series AMC premiered this spring, Preacher and Feed the Beast, haven’t generated stellar numbers yet. 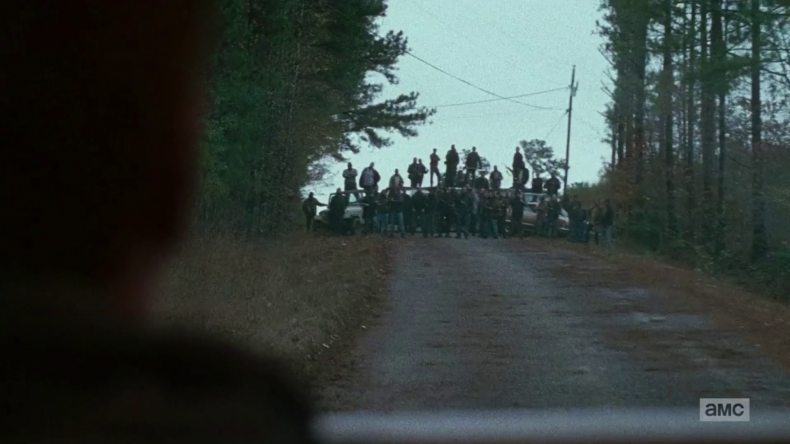 If AMC is desperate to keep The Walking Dead from slipping further, it probably shouldn’t broadcast forced cliffhangers such as what we saw in the last aired episode, because getting angry with a show tends to dull a viewer’s enthusiasm for said show. We fear, though, that the reactionary move will be to order more moments like that.